Had a reading with Shaz who is very easy to connect with & very straightforward in her approach. Delivers her readings in a direct manner & gets to the point. Very insightful. Would like to leave this for Shaffron who i had a reading with recently . I enjoyed talking to this lady who tuned into me very accurately as she had a great link with spirit bringing through a message from my father which bears great relevance to me now & was spot on generally. Highly recommend this lady. Nartisha has been a working as a professional clairvoyant for many years. Nartisha is in constant demand from clients who are looking for personal guidance. Nartisha will amaze you as she explores details of your life and provides you comfort surrounding situations with loved ones. If you are looking for answers then Nartisha can help you. Call 0207 111 6336. £14 for 20, £19 for 30 & £24 for 40 minutes. Victoria is an amzingly accurate, very experienced clairvoyant and psychic and is excellent with the tarot. Victoria has worked with us for many years, she is can tune in quickly to do your reading. She specialises in relationship problems. Victoria has many clients who come back time and time again. Call 0207 111 6336. From £14 for 20 minutes. Tina is a Natural Psychic Clairvoyant who is also a very good Medium. Tina can do distant healing helping you feel more yourself. Tina uses her guides and angels to help guide you and give you the answers that you are seeking regarding any situation you may be facing. 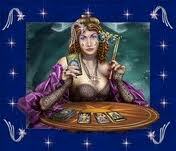 Tina can also use the Pendulum, Tarot and Angel cards if requested, to give a very indepth and detailed reading. Tinas readings will leave you with a zest for life and feeling content with yourself. Call 0207 111 6336. From £14 for 20 minutes. Ken is a gifted clairvoyant, medium and if required experienced Tarot reader. Ken specializes in all emotional issues and gives readings with real insight and understanding. Ken has a long list of regular clients that come to him again and again and are never disappointed. Call 0207 111 6336. From £14 for 20 minutes. Elayna is a natural Clairvoyant and Psychic, who can also use the Crystal Ball and Tarot if requested. She has had her abilities since birth, but has been practicing regularly for 30 years, doing phone and platform work. Elayna has also developed and practiced the art of healing for quite a few years. Call 0207 111 6336. From £14 for 20 minutes. Lisa is an expert with the tarot and has many years experience.She is very accurate and is a medium psychic and clairvoyant. Call 0207 111 6336. From £14 for 20 minutes. Holly is a clairvoyant with many years experience her readings are guided by spirit. She specialises in relationship problems. 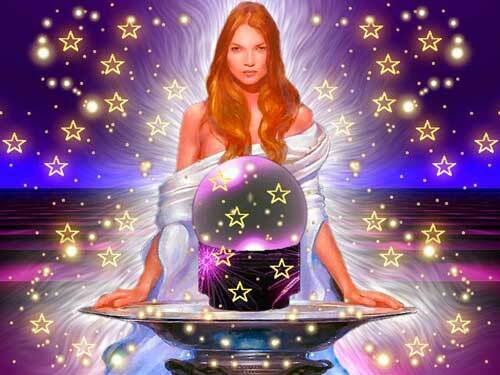 She will put you at your ease and tune into your situation quickly.She is a very gifted clairvoyant. Call 0207 111 6336. From £14 for 20 minutes. Vera has been a natural clairvoyant and psychic for many years and uses her spirit guides to do a reading with or without the tarot.She specialises in relationships and tunes in quickly to past present and future relationships. Call 0207 111 6336. From £14 for 20 minutes. Diana is a very experienced Psychic who is very sensitive to your feelings. Diana can also use cards to connect with you at a deeper level. 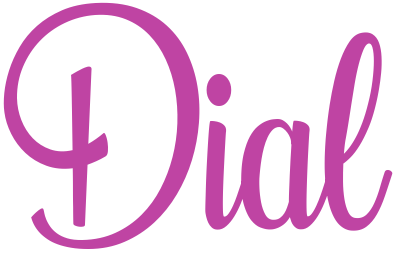 Diana can explore any area of your life with you and can help you receive comfort and understanding and help you move forward. Diana can also provide over-the-phone healing when necessary. Call 0207 111 6336. From £14 for 20 minutes. Laura is a well known clairvoyant who clients have been trusting for years. Laura will be able to give you detailed information, month by month if you wish, about your future. Laura does not give general details; she is very specific. Laura is popular with clients that have difficult situations around them, as she will aim to provide you with a clearer mind to go forward. Call 0207 111 6336. From £14 for 20 minutes. Reany is a gifted psychic, who also is very popular as a Medium. Reany can use Tarot if requested, but dont worry, she wont have to ask you many questions to establish what is going on around you. Call 0207 111 6336. From £14 for 20 minutes. Jill has a strong sense of Mediumship and is Clairsentient. Jill can use Tarot to connect but relies upon her personal links with Spirit to tell you exactly how it is. Jill can give you information regarding your past and help you with your future. Jill is very friendly and will instantly put you at ease. If you are prepared to hear answers then give Jill a call. Call 0207 111 6336. From £14 for 20 minutes. Caroline is a natural and experienced Clairvoyant Medium. Caroline uses cards to connect with you at first in order to give you the most wide range and detailed reading. Caroline is very good at general readings as she can look at all difficult issues in your life however she can zone in on particular or specific areas if necessary. Caroline is waiting for your call! Call 0207 111 6336. From £14 for 20 minutes. Imani is a Natural Clairvoyant who will help you get to the root of any issue in your life. Imani is a very friendly, warm and understanding reader. You will feel instantly comforted after speaking with Imani. She is waiting for your call. Call 0207 111 6336. From £14 for 20 minutes. Betty is an exceptional medium clairvoyant who is able to connect with clients as soon as the consultation starts, just by the sound of your voice. Betty does not need to ask questions as she has an amazing ability to pick up what may be going on around you. Betty will give you all the answers you are looking for however complex your situation. Betty will reassure you on loved ones that have passed over, providing you understanding and comfort. Call 0207 111 6336. From £14 for 20 minutes. Paul is a natural clairvoyant and has many years experience. He is sensitive and understanding to your situation including love, relationships, finances and career. Working with spirit he is able to look into your concerns and give clairvoyant guidance to help you to make decisions. Paul is renowned for clearly and accurately getting to the heart of the matter. Call 0207 111 6336. From £14 for 20 minutes. Karen is a very popular Medium and Clairvoyant who works with spirit guides. Karens regular clients say that they return because of her psychic ability when looking at relationships and that her predictions on timing are especially spot on. Karen always give a very indepth reading. Call 0207 111 6336. From £14 for 20 minutes. Vonney is a Natural Clairvoyant who is also Clairaudient. Vonney will amaze you with the details that she can give you. Vonney can also use the Tarot and Angel cards if necessary or if requested. These tools can help Vonney build up a very strong connection with you and your situation. Vonney can specifically help you if you are struggling with a relationship issue or if you just need a little guidance. Call 0207 111 6336. From £14 for 20 minutes. Jacqueline is a Natural Clairvoyant and Clairsentient. Jacqueline can use Tarot cards but these are only for a focus or for the connecting process. Jacqueline can see spirit very clearly if needs be. Jacqueline will connect with the energies around you and people around you to help you with any complex situation that you may be in. Call 0207 111 6336. From £14 for 20 minutes. Tom is an amazing spiritual reader. Tom can help you get to the root of every and any problem you may be facing in your life. Tom is an amazing Clairvoyant who is so experienced when dealing with spirit and passing messages from them to you. You will be amazed at the details Tom can provide you with and can help you find a way forward and help you to see the light at the end of the tunnel. Call 0207 111 6336. From £14 for 20 minutes. Taniya uses the old style of reading. 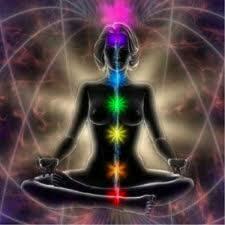 She is a very experienced psychic clairvoyant and spiritual medium who has had her abilities from the age of 2. Taniya has been practicing for 60 years and so has a strong instinct. Because of her experience she can deal with all aspects of life. Taniya can quickly tune into relationships past and present. Call 0207 111 6336. From £14 for 20 minutes. Sherrey is an experienced Medium and clairvoyant. Sherrey will give you enough details about a loved one that you will instantly feel comforted and that you are speaking to a reader who truly cares and understands. Sherrey certainly doesnt give vague answers. She is a very warm woman that will tell you what she sees. It may not be what you want to hear but it will help you make the decision that is right for you. Call 0207 111 6336. From £14 for 20 minutes. Goldey aims to bring clarity where there is confusion, hope where there is worry, happiness where there has been sadness. Goldey is clairaudient, which means she senses a great deal from your voice, as well as clairvoyant and clairsentient but Astrology is Goldeys fortay. In order to get the most out of your reading with Goldey you should have dates and times at the ready. With this information and with the help of those who have passed over, Goldey can bring you real insight which is both kind and helpful. Call 0207 111 6336. From £14 for 20 minutes. Rachel has been aware of spirit since the age of 4 and is very well known for both her Clairvoyance and Mediumship abilities. For loved ones that have passed over you will be told what memories are dear to them giving much needed comfort to you. If you have a relationship issue that you just have to know what is really going on then you wont be disappointed. Call 0207 111 6336. From £14 for 20 minutes. Vivienne is a natural and caring Psychic Clairvoyant with around 30 years experience. Vivienne is amazingly understanding with many difficult life issues particularly love and relationship issues. Vivienne uses her personal spirit guide who has been with her for many years to provide you with the support and guidance that you need in your life. Vivienne will truly help you see clearly and feel as though there is a way forward. Call 0207 111 6336. From £14 for 20 minutes. Melanie is a compassionate and understanding psychic clairvoyant. Melanie tunes into you and is an accurate reader. Melanie is exceptional with relationship problems and psychological issues. She has had her abilities since birth but has been practicing regularly for 20 years. Melanie connects well with spirit. Call 0207 111 6336. From £14 for 20 minutes. Julie is a Natural Clairvoyant and Medium who is sensitive to spirit, your feelings and how a loved one is feeling. Julie is renowned for her general readings and spiritual guidance. Julie is experienced in reading the Angel Cards but she does not need these to connect. Julies Spirit guides like to reveal specifically names and personalities of those closest to you and particularly of those that have passed. Julie has a very calming, down to earth nature. Julie is also good at helping you through emotional issues, giving you confidence, strength and a positive way forward. Call 0207 111 6336. From £14 for 20 minutes. Elaine is a very experienced Clairvoyant who can explore details surrounding love issues in particular as well as help you understand whats going on with loved ones. Elaine will give you the confidence to finally move forward in your life. Call 0207 111 6336. From £14 for 20 minutes. Louise is a Natural Medium, Clairaudient and Clairsentient. You will feel at ease instantly with Louise. Louise is especially popular with clients who are feeling very confused and anxious about the future. Louise likes to look at things in a very straight forward manner and will give you answers that you can understand however complicated life seems. Louise is a very warm and caring reader who is always ready to listen. Call 0207 111 6336. From £14 for 20 minutes. Galaxy is primarily a Clairvoyant who can also connect with those that have passed if the need is there. Galaxy can help you look at your relationships and work issues closely to help guide you and set you on your correct lifes path. Galaxy is waiting for your call! Call 0207 111 6336. From £14 for 20 minutes. 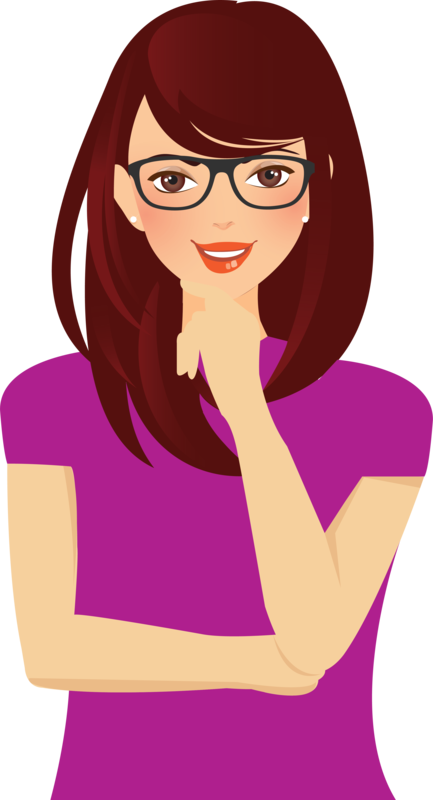 If you are seeking an insightful and sincere reading with not only understanding what your present life and future holds – but also someone who can help you make the right choice, you need look no further than Nikki 4419. Nikki is a clairvoyant who is also an experienced clairaudient tarot card reader and a clairsentient. Nikki 4419 – Psychic reader and clairvoyant doesn’t just see the future – she senses it with every physical, mental, and emotional sense available to her. With this spiritual ability, she is able to reveal your path to you and give you the guidance you need to make the best choices. To get started, book an appointment with Nikki 4419 – psychic reader & clairvoyant. Nikki is highly sought after for all types of readings, so if you see an available appointment soon – be sure to secure it right away! Nikki can help you understand what your future holds and how to navigate the path of most success. May is a psychic clairvoyant and also a medium. 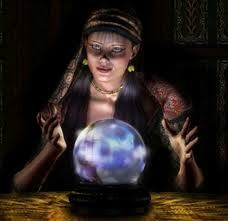 May can also do psychic readings based around the crystal ball, tarot and reading your aura. She will tell you exactly what she receives as it comes across to her, in order to help you to have a better and clearer understanding of your situation. Mays readings are based on past, present and future situations and feelings. It doesnt stop there, after your reading May will be sending positive and healing energies to help you in your life. Call 0207 111 6336. From £14 for 20 minutes. Shaz is a very well known clairvoyant and medium who has been helping and supporting her clients for years. Shaz will not ask you any questions leaving you stunned with the information she will give you about your life. Shaz does specialize in all emotional issues especially relationships. For a detailed reading with no general information given please give Shaz a call. Call 0207 111 6336. From £14 for 20 minutes. Grace is one of those Clairvoyant readers that you will want to speak to time and time again. Grace is a natural Clairvoyant who gives her clients peace of mind and real confidence in what their future holds. Grace will give you direct answers and will not generalize your situation. To have a future that you can believe in please give Grace a call. Call 0207 111 6336. From £14 for 20 minutes. Jennifer is a natural Clairvoyant who never fails to give her clients the answers they are looking for. Jennifer is one of the most experienced Clairvoyants that you will talk to. Jennifer doesnt need to ask loads of questions, in fact you will be the one who will be asking the questions because she will have given you so much information. Call 0207 111 6336. From £14 for 20 minutes. Alice is a natural clairvoyant who has specialized in relationship, work and emotional issues for many years. Alice looks at each issue with real details that are not general but personal to you. Alice is incredibly warm and supportive so if you are going through a difficult time then please give Alice a call. Call 0207 111 6336. From £14 for 20 minutes. 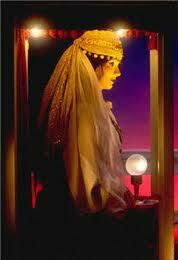 Romea is a very talented Clairvoyant who has helped many clients over the years. Romea will give you many details about not only the present but most importantly the future. Romea is able to look into any area of your life specializing in relationships, so be prepared to be amazed. Call 0207 111 6336. From £14 for 20 minutes. Venus is a Clairsentient and Clairvoyant Medium. She will tune into clients name and voice vibrations and to prove she has connected, she will give validations of whats around you. She gives insight and guidance and look at things in a very straight forward manner. She also has the gift of speaking Asian and African languages and is understanding and an empathetic reader. Venus is the planet of beauty and love and she therefore specialises in love and relationships. Call 0207 111 6336. From £14 for 20 minutes. Zeldi is an experienced natural clairvoyant, astrologer and dream interpretor. Zeldi is very talented when using Tarot Cards and Crystals. She is able to answer any questions you may have on work, love, luck and your future. By tuning in to you and those around you with great a great understanding and compassion. Call 0207 111 6336. From £14 for 20 minutes. Martha is a highly intuitive psychic clairvoyant. Martha can use her outstanding Tarot card reading skills to connect with you at a very deep level. Martha is a warm and friendly lady that will have your needs at the forefront of every reading. Martha will help and support you with any issue you may be facing particularly difficult issues surrounding love, relationships and work situations. Call 0207 111 6336. From £14 for 20 minutes. Vanessa will amaze you in the first five mins of your reading with what she will tell you. Vanessa is a natural clairvoyant who never fails to deliver what each of her clients want. For a chance to get past any confusion you are facing, preventing you to move forward and progress, Vanessa really is the reader for you. Vanessa specializes in relationship and all emotional issues. Call 0207 111 6336. From £14 for 20 minutes.